Earlier this week I had the pleasure of visiting with Tulsa history buff David Breed. David has extensively researched the West Tulsa area and was a great source for my blog entry about Taneha which was quite a thread to unravel. While we were 97% sure of the facts surrounding Taneha, David gave me a copy of a map from 1915 that proves it 100%. I want to share this map with everyone because it's so interesting. Not only can you find Taneha/Bowden and New Taneha on it but other little towns I've referred to, such as Alsuma- which you can see on the edge of the map, far right- plus new one's I haven't heard of, such as Scales and Hickory. So click on the photo and have fun seeing the way we were. 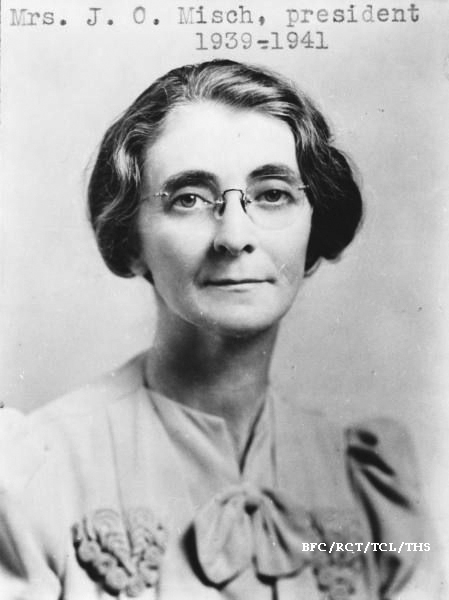 Born in Nodaway, Iowa on January 6, 1886 Fannie Brownlee claimed she had "the instinct for church relationship and the importance of history born right into me". 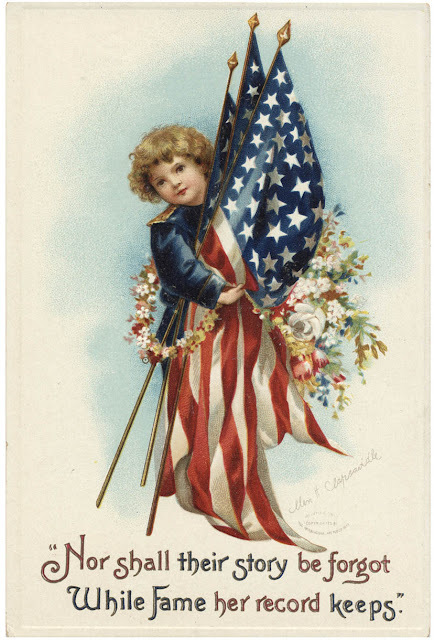 Some of her most prized possessions were the journals kept by her circuit-riding minister grandfathers- on both sides- dated 1848 in Ohio and 1866 in Iowa. She and her family migrated to Kansas at the turn of the century. 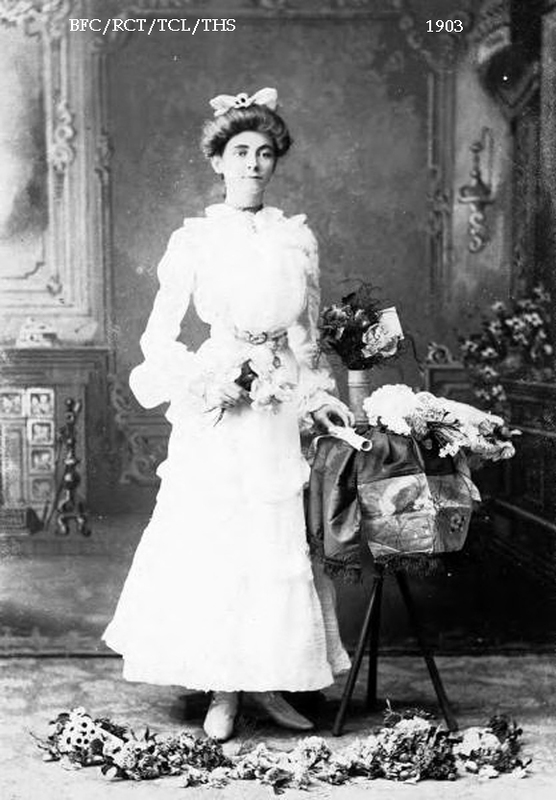 Fannie graduated from Prairie Valley School, Parsons, Kansas in 1903. She rode in a buggy for six miles to have this graduation picture taken. Upon receiving her teaching certificate, her adventuresome spirit led her to travel with a woman friend and the nephew of family friends to the panhandle of Texas to teach school. In an interview with the Tulsa World, back in the mid-1970's, Fannie told of their arrival in Texas: "We arrived with trunks as big as doors but soon had to trim down our possessions, for we found everybody in that pioneer country traveled by horseback." And so she hung an oval-shaped, aluminum Kodak camera over her saddle horn and set out to document her journey. 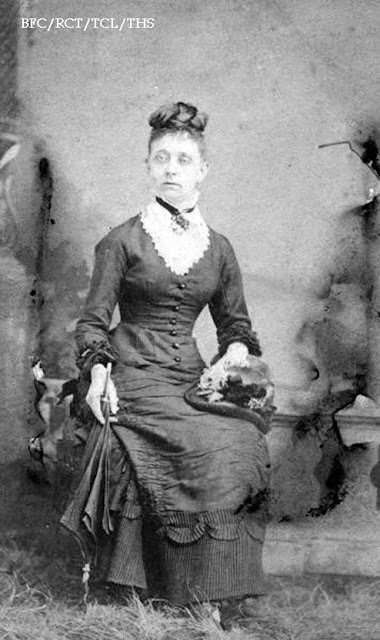 Pictures were later used in her first book, "Teachers on Horseback". The girls' first hurdle was to take a test about Texas history before they could teach. Staying up two days and two nights, studying by kerosene lamps to cram for the exam, they passed with flying colors. 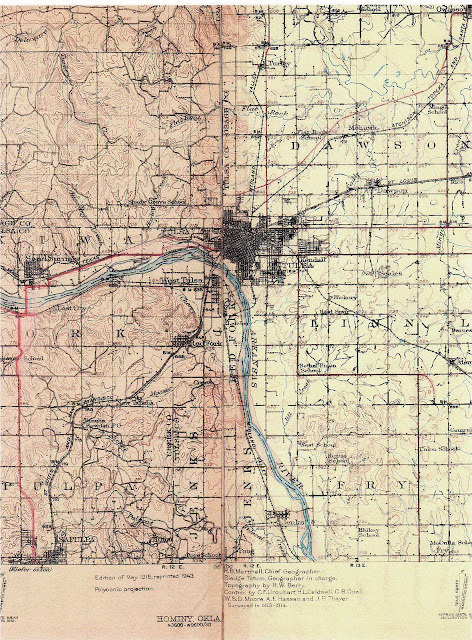 Fannie rode a train to the rural community where she hoped to teach. However when she got there her assignment had changed, so she caught a ride back to the county seat with a lawyer in a hack. The heat was almost unbearable. "I had on an embroidered blouse. By the time I got back to my room, the pattern of the embroidery was burned into my skin." 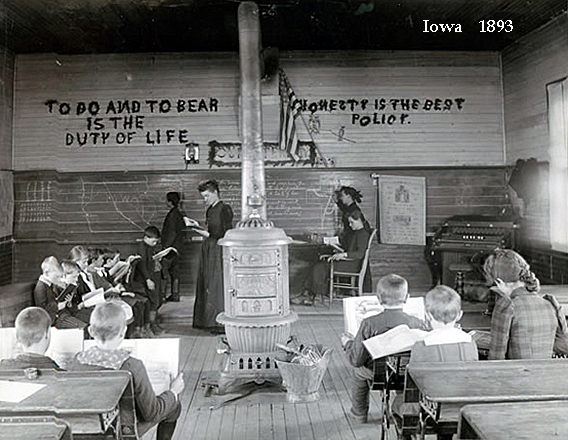 Teachers often boarded with a family, paying for rent and food. 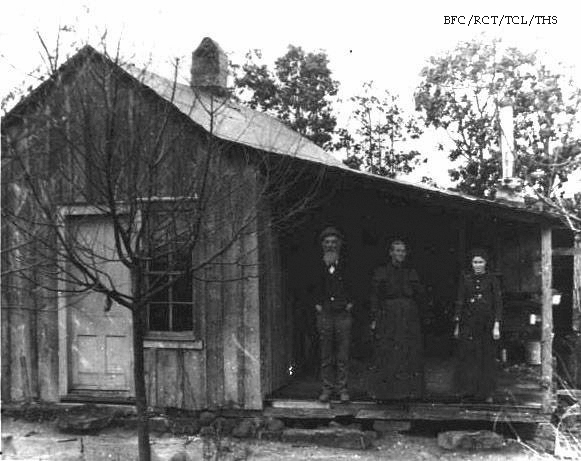 Fannie's friend had to live in a dugout and believed that Fannie was fortunate because she lived in a ranch house. But Fannie had to climb outside stairs each night to reach her room, which was without heat. Students of all ages were in a typical school house. Because so many rural kids had to help with farm chores during spring planting and fall harvesting, there were two school terms: "winter" and "summer." They each were about four months long between the harvest and planting seasons. 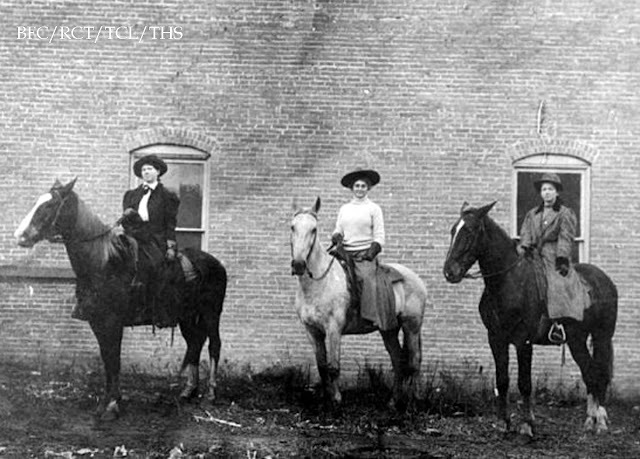 This photo shows Fannie (middle) on vacation in the fall so her students in Donley County, TX could pick cotton. Fannie Brownlee came to Tulsa in 1913 and married Julius Misch. Together they opened Tulsa Printing Company in 1916, which was located at 1011 N. Main. Mrs. Minch began researching local history and writing everything from book-length histories to articles for newspapers. 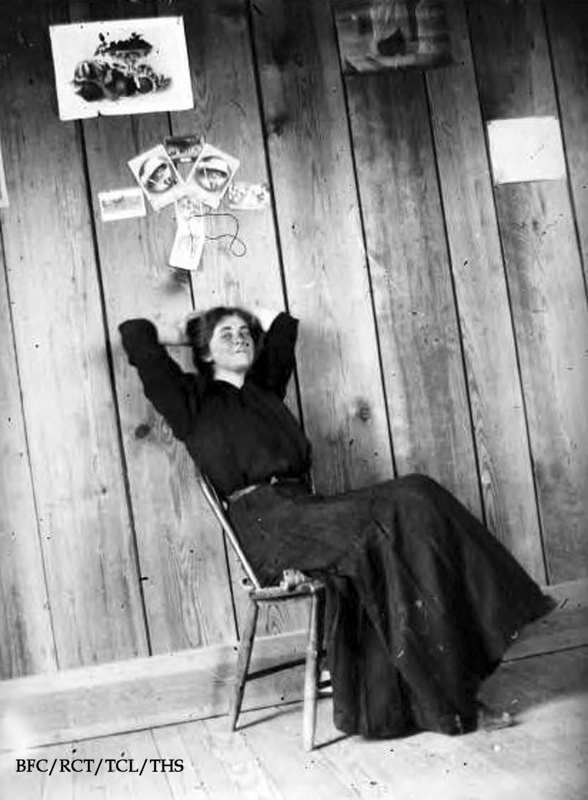 Fannie acquired the Lilah D. Lindsey collection of photos and manuscripts in the late 1950's. Adding to the material with interviews Mrs. Lindsey had previously given, Misch wrote an article about her for the Oklahoma Chronicles which you can read HERE. In addition she presented photos of Lilah's husband, Col. Lindsey, to the Creek Nation Museum in Okmulgee. Lindsey had built the wall around the Council House, set out trees and did brick work at the Wealaka Mission where Lilah had taught. For her efforts and research, Fannie was made an honorary member of the Creek Indian Council. She authored several books about the Creek tribes and Missions, including "Kowetah, the first Creek Indian Mission". She was invited to contribute four articles in the two volume "History of World-wide Methodism" books. This led to her documenting the local Methodist history with her book, "Methodist Trails to First Methodist Church Tulsa". Her writing and research earned awards too numerous to count. 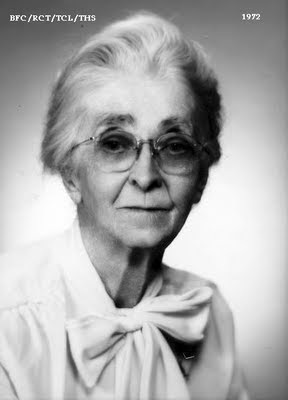 In 1975 she was the winner of the Oklahoma Heritage Association's Distinguished Service Award. 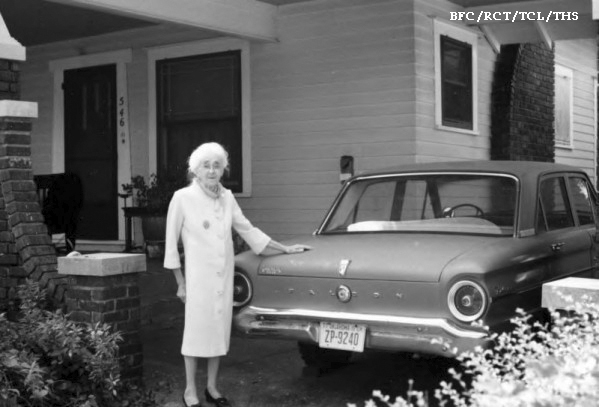 Besides being an accomplished writer, Fannie Misch was an active preservationist. 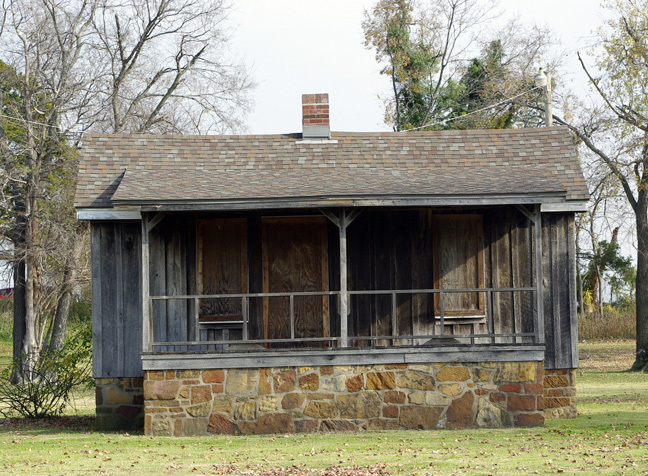 It was she who alerted the Tulsa County Historical Society (and later the Methodist Oklahoma Conference) to the fact that Tulsa's oldest house, once the parsonage of Tulsa's first Methodist minister Sylvester Morris, was about to be destroyed in an Urban Renewal project. The house was rescued and restored by the Methodist conference in Owen Park, on a site Fannie chose because her research had proven that the corner was the intersection of the three Indian Nations. (The house was later moved several yards over to it's current spot). She was also responsible for preserving the well-known "Hanging Tree" that sits at 3 N. Lawton. When the owner of that property passed away, she feared new owners, unaware of the tree's history, might dispose of it. 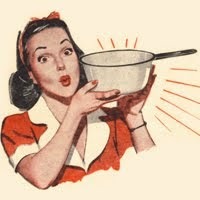 Thanks to her efforts it was preserved and still stands today. She recalled how it shaded picnics of the Creek Indians in early Tulsey Town. And later, three cattle rustlers were once hanged from its limb, hence it's name. Fannie Brownlee Misch lived to the age of 92 and is buried in Rose Hill cemetery, Tulsa. She was nearly finished with her last book titled "Creek Indian Nation East to West" at the time of her death. She was extremely excited about this book because she had information and photographs not available to anyone else, obtained by interviews with family members of many Creek tribal officials. I do not know if the book was every completed by someone else or not. I could only find a copy of the book "Methodist Trails" but no copies of any other books she wrote.